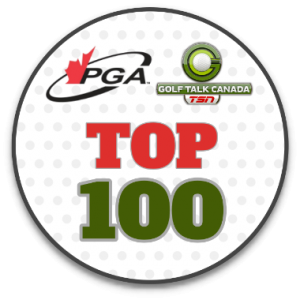 The PGA Of Canada Top 100 presented by Golf Talk Canada is the first ever Top 100 course list compiled exclusively by the PGA Professionals of Canada. From April to September members of the PGA Of Canada will be asked to vote for what they feel are the best Private Courses as well as Public/Resort Courses in Canada. Throughout the year GTC TV & Radio will be teaching out to PGA Members to see who’s voting for who, and why. On October 1st, right here on GolfTalkCanada.com we will announce the Top 40 Private Courses and Top 40 Public/Resort Courses in Canada as voted on by the PGA Of Canada. Finally in November the wait will be over, as GTC TV will announce the Top 10 in both categories in a 60 minute PGA Of Canada Top 100 TV Special on TSN. This will be followed by a 2 hour Top 100 Radio Special later this year.